My garage workstation has been evolving as time is going on. 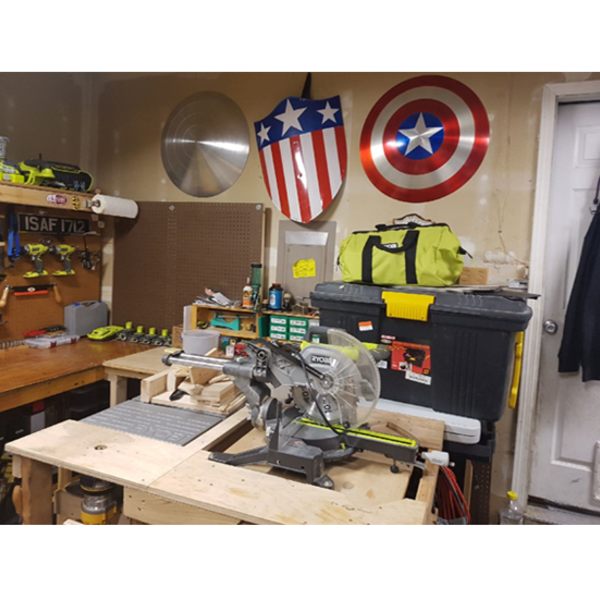 I've added a wing and am going to start working on pegboard tool hangars for all my Ryobi tools soon. 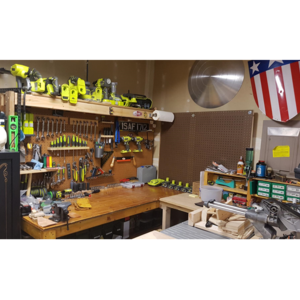 Loads of fun in my garage that I very much enjoy all my Ryobi tools. Really nice setup and organization! Looks like you have quite a few RYOBI tools! Which is your most used? Most used would probably be the Drill and Impact driver, not sure which is the most used out of those two. After that, I'd go with Jigsaw, Circularsaw, Brad Nailer and Sander...those are my most used. Nice! We are glad to have you as part of RYOBI Nation! Keep building!